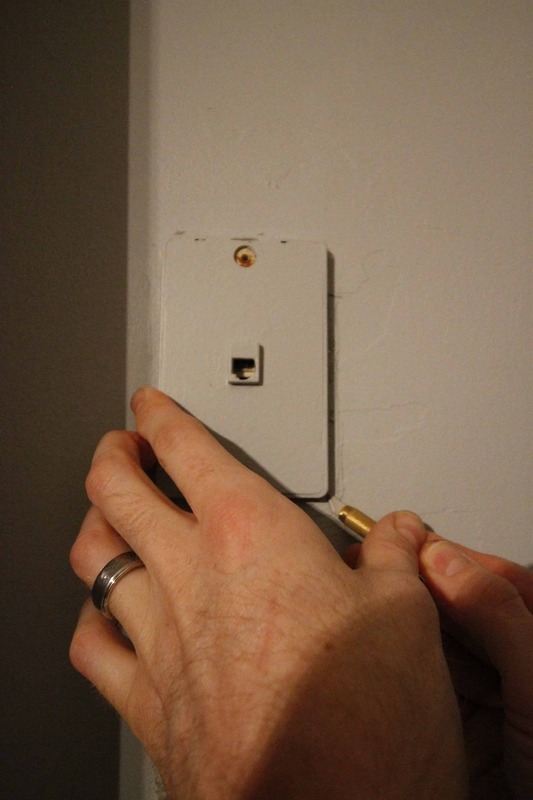 Want to know how to remove a phone jack? Unless you bought a new construction house from within the last five-ish years, the house you bought came complete with a sweet phone jack hookup for your land line telephone. Awesome! That’ll come in handy when you have some “Back to the Future” ordeal and need to call your Liz Frank ’90s loving self while twirling a phone cord around your finger. Home landlines are dead, but the ugly phone jack is still there. Luckily, they are easy enough to remove and patch drywall over and you’ll never know it was there! The first thing I did was remove the plate on the front of the jack, which exposes the wiring. I cut off the power to the jack and popped out the power cords that were connecting it. Then I used electrical tape to wrap up each of the two cords just to make sure they didn’t touch anything and pushed them into the electrical box in the wall. Out of sight, out of mind. Next came patching the wall. This awesome drywall patch kit comes with a 4″x4″ steel mesh patch, lightweight spackle and a putty knife. It’s perfect for this type of job. The patch sticks to the wall with a built-in adhesive. 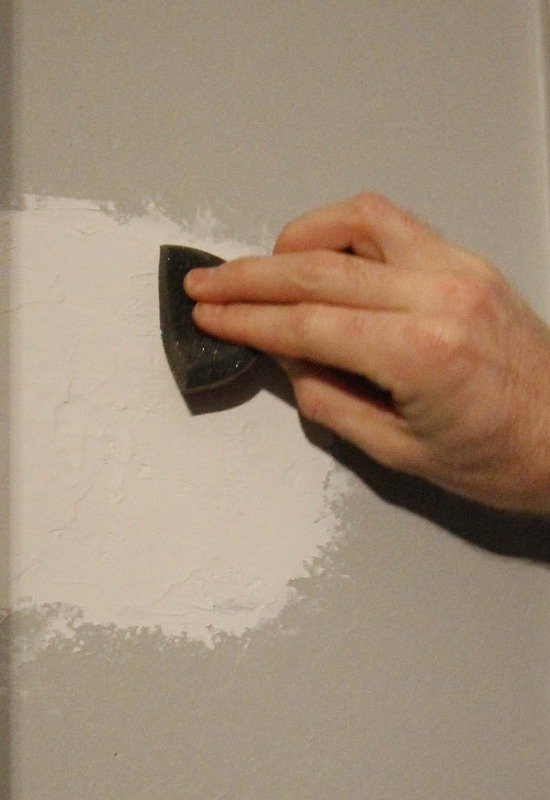 Next, lather up your spackle on the wall and smooth it out over the edges and let dry. This kit even came with a nice sanding block to smooth everything out once dry. Finally, paint over the newly spackled area and voila you can’t even tell that the ’90s existed. 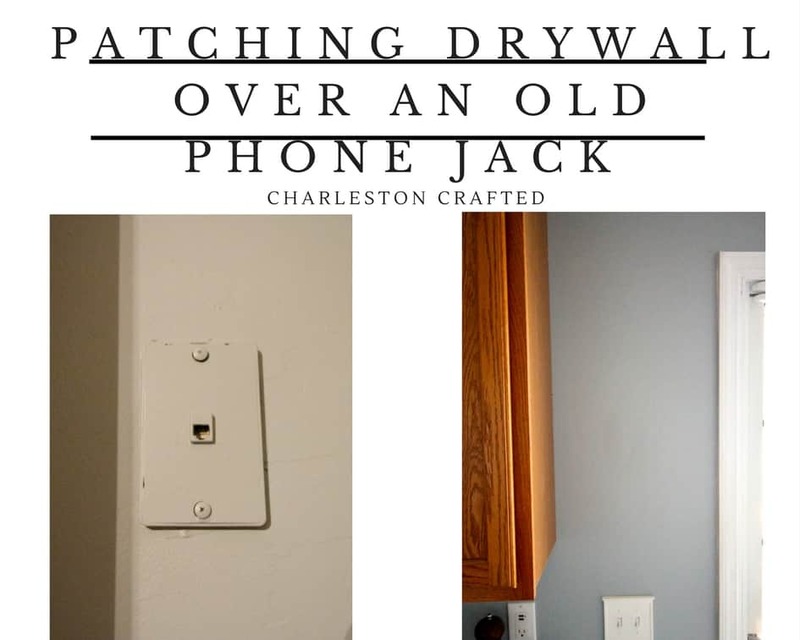 Patching drywall over an old phone jack is simple and easy and can be done quickly. It’s a quick and easy upgrade that makes your home look much more up to the times. 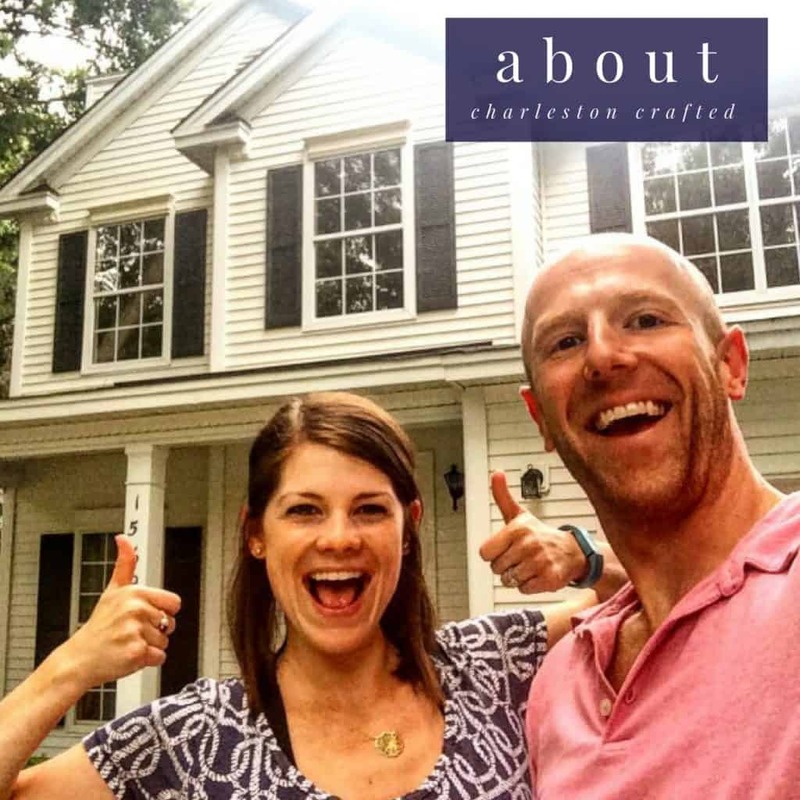 « Where Do I Start Decorating In A New Home? Thanks for this great information! 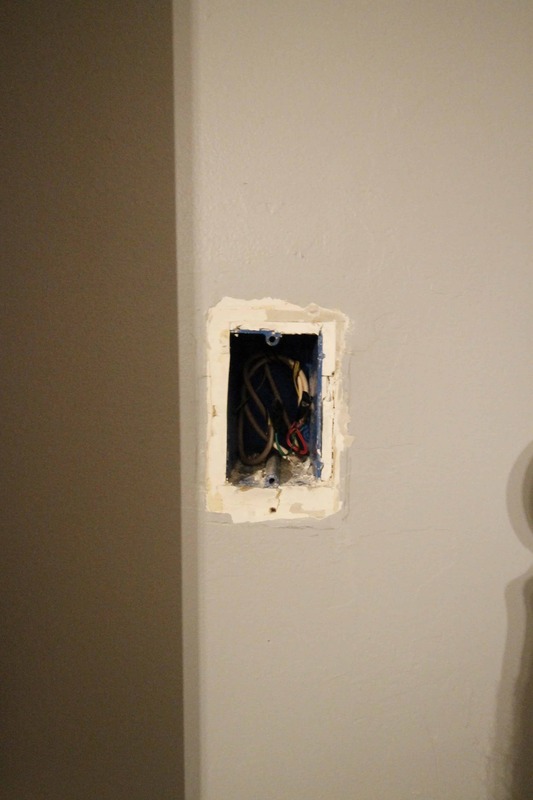 In typical fashion, I looked up how to cover a phone jack AFTER I covered the phone jack. I did not use electrical tape but just coiled the wires and placed them back in the phone jack box, then used the wire mesh and speckled/painted. We do not have an active landline, but now I’m nervous about the wires touching . Do you think I should redo this? I have. O experience in this area (clearly). Thanks in advance! Thanks so much for the reply, Sean! I think I will just leave it alone for now. Like you said, if the power blows I’ll know why 🙂 I appreciate your help, and have a great weekend! Thanks for the helpful information! My situation is a little different. I have an older home, built in the late ’50s and the old telephone jacks in the bedrooms are causing the issue. The phone cable is very low on the wall, only about 1 – 1 1/2 inches from the floor and the wires come straight out of a small hole (only big enough for the wires). 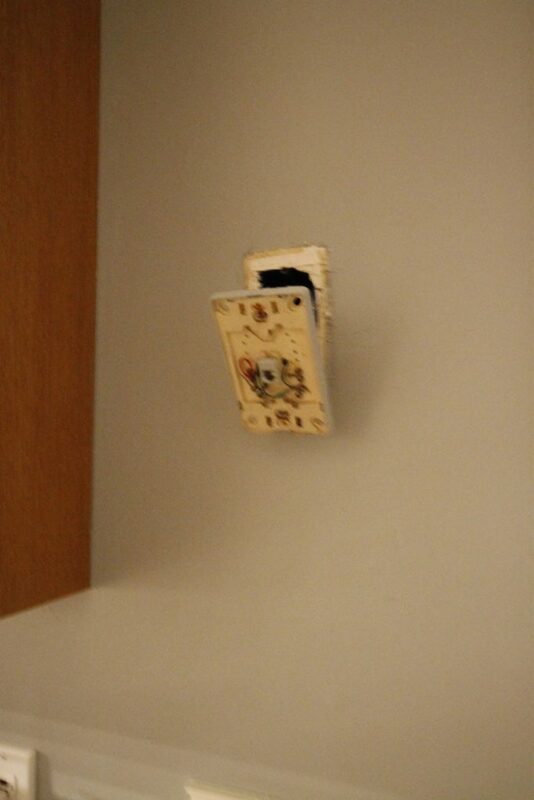 I really doubt there is an electrical box behind the drywall. So I don’t believe the electrical tape and tucking would work/be safe in this scenario. The length of the wire is not long enough to just raise the phone boxes above the new base board plus I would REALLY like to just eliminate them all together. How can I safely remove/hide these cables to finish the base board? I appreciate your help, thanks! That is a very interesting situation. 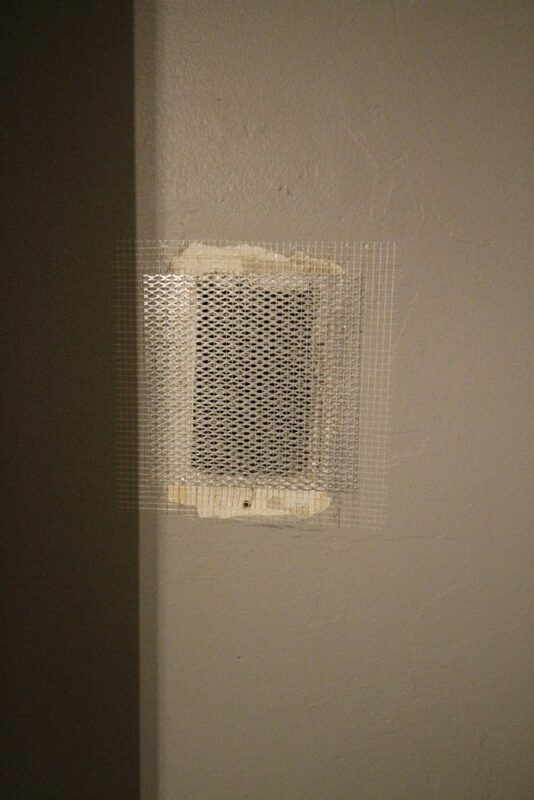 So you’re saying that the phone line and the power line for the phone are just coming straight through the drywall? I personally don’t think it would be an issue to just heavily wrap them in electrical tape and push them in, but that would be what you are comfortable with. 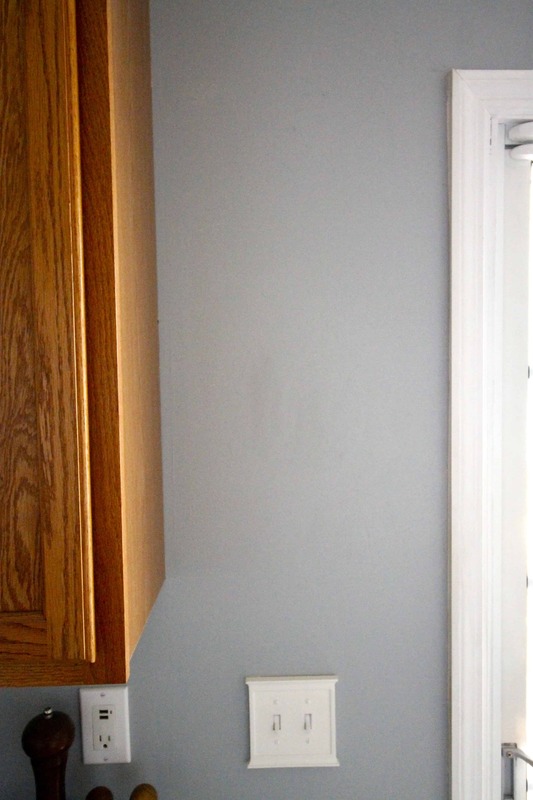 Conversely, if you’re going to cover with baseboard, you could just wrap them in electrical tape and hide them behind the baseboard. If they are wrapped, you shouldn’t have any issues. Hi! I’m a little confused about how you “cut” the wires??? Is a phone wire like an electrical wire, with a charge? What do you cut and do I need to turn anything off to do it? Hi Amanda! We don’t have phone service in our house so I didn’t even address this but no it doesn’t have a charge. Still, best practice is to wrap the ends of any exposed wires with electrical tape. 🙂 Good luck! I would like a wall pass-through where the phone jack resides. Is this possible? Hey Donna! It’s certainly possible, but you’ll have to do this a little differently. You’re going to need to remove the whole box (as you’ll be removing a section of wall) and you’ll need to just drop the phone line down into the wall when you’ve cut it all open.